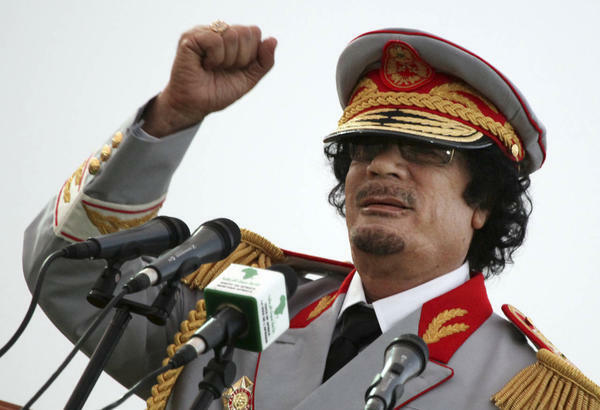 Can a person of faith appropriately celebrate Gadhafi's death? 2011 has been a big year for bringing the malevolent influence of despots and terrorists to violent, bloody ends: Osama bin Laden, Anwar al-Awlaki and now Libyan tyrant Moammar Gadhafi. It has also been a big year for people of faith to consider how to appropriately respond when bad guys get what, many feel, is coming to them. When Osama bin Laden was killed in early May, many Americans felt a sense of joyful triumph — some literally danced and celebrated in the streets. But others approached the news of bin Laden's death from the perspective of faith, citing the counsel of the Psalmist to not "gloat when your enemy falls."